Come together for family milestones, special events, or small business retreats in the world's most desirable destination. 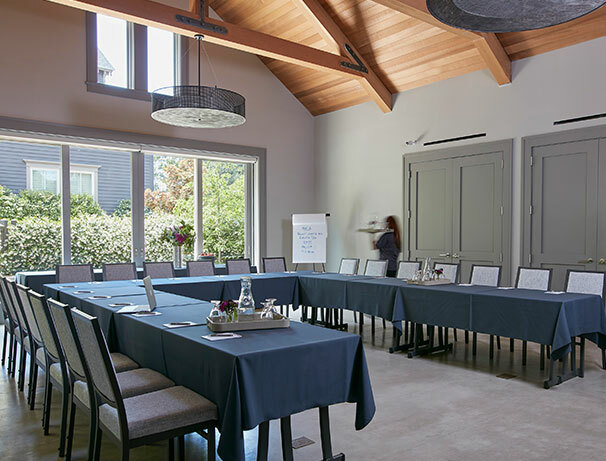 Set among the vineyards in Wine Country, our venue offers 900 square feet of versatile space in an idyllic setting amid ponds, fountains, and lush gardens. 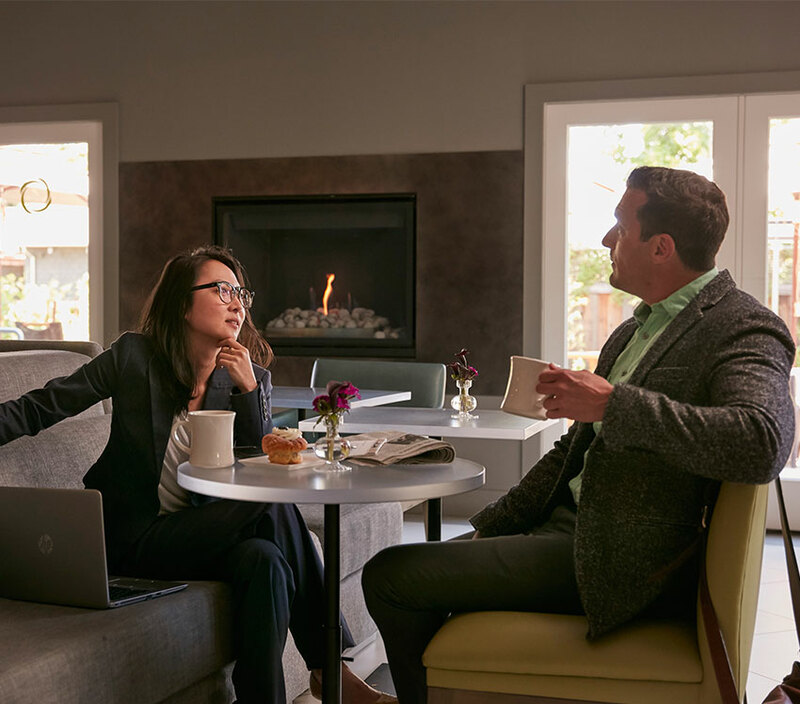 With a convenient location just minutes from world-class wineries, golf courses, and area attractions, our hotel lets you continue the celebration in California's Wine Country. Move to our outdoor space by the pool or firepit for casual functions under the stars. Stay for our nightly Wine & Cheese Hour to mix and mingle after a productive day. 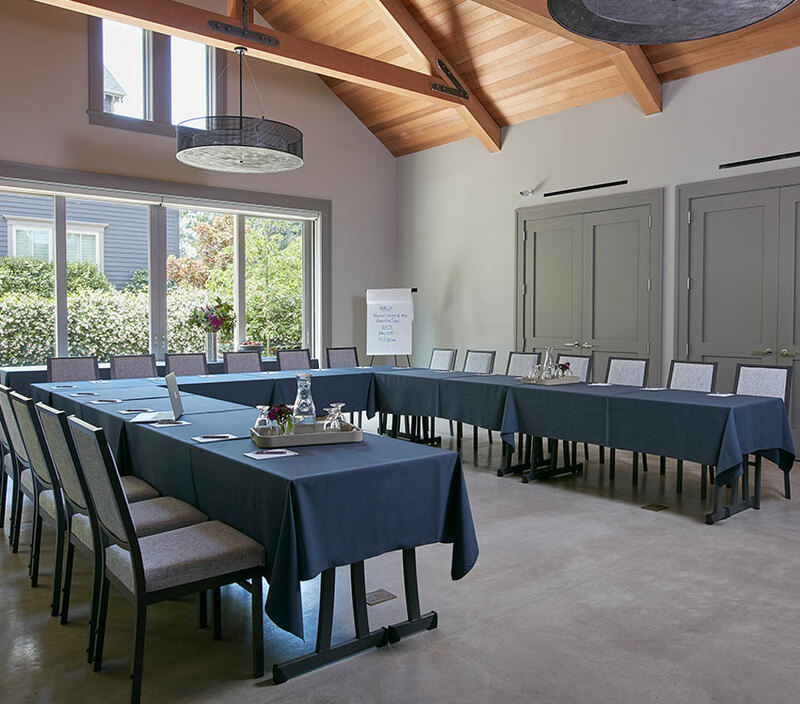 From banquets and board meetings to receptions and social gatherings, our meeting and event spaces at SENZA are guaranteed to inspire. 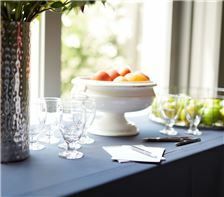 Our staff is on hand to ensure your meeting or event is flawless, and we offer customizable packages to fit your needs. We provide a full range of state-of-the-art A/V equipment, including projection and presentation service, tables, chairs, table clothes, catering, and complimentary Wi-Fi. 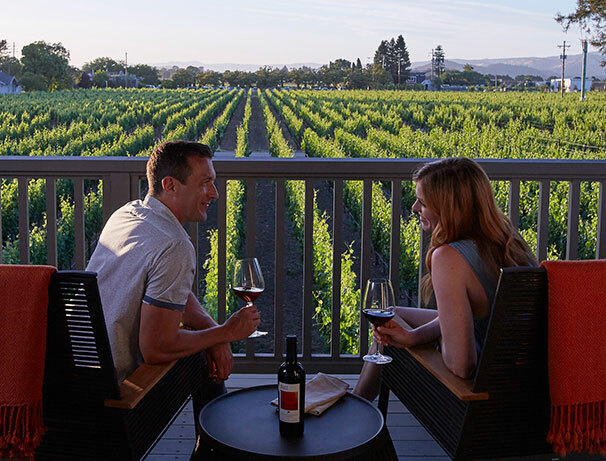 Allow our concierge to arrange a wine tasting tour for your guests, or plan a day exploring Napa Valley by bike, hot air balloon, or on the Napa Valley Wine Train. Does the hotel offer group accommodations? 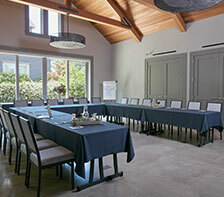 Yes, SENZA Hotel in Napa Valley offers spaces groups as small as 10 to up to 50 guests, plus rooms. 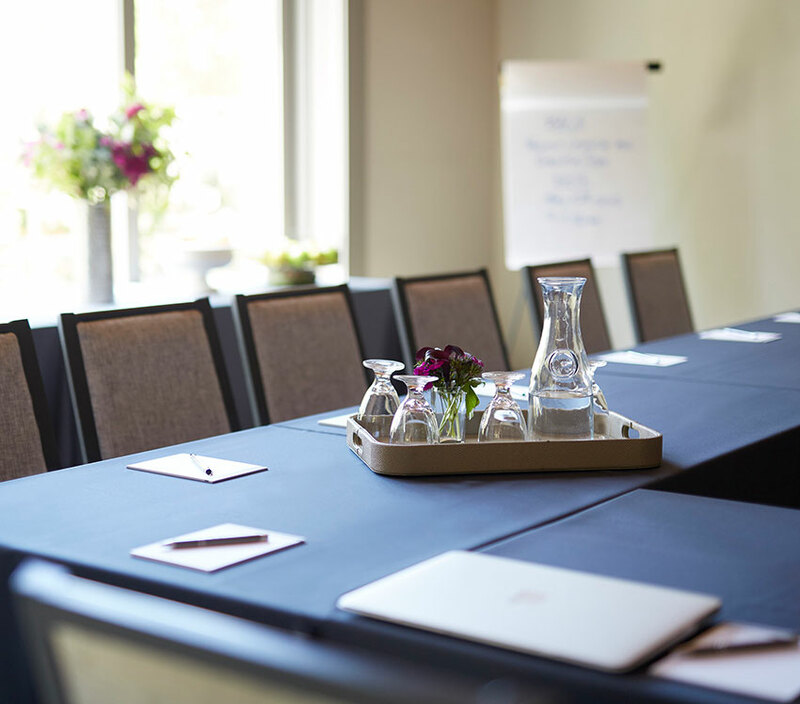 Receive a discounted rate on room accommodations or customize one of our packages to include meeting and event space, catering, and equipment. What is the size of your meeting room? 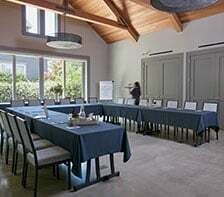 Our Napa Valley venue is 900 square feet and can be set up to meet all of your needs. Whether Theater style, U-Shape, Classroom, Boardroom, Banquet, or Reception, our sophisticated space can fit 10-50 guests depending on set-up. We also offer outdoor space by the pool or fire pit for outdoor events. Do you offer catering services at the hotel? 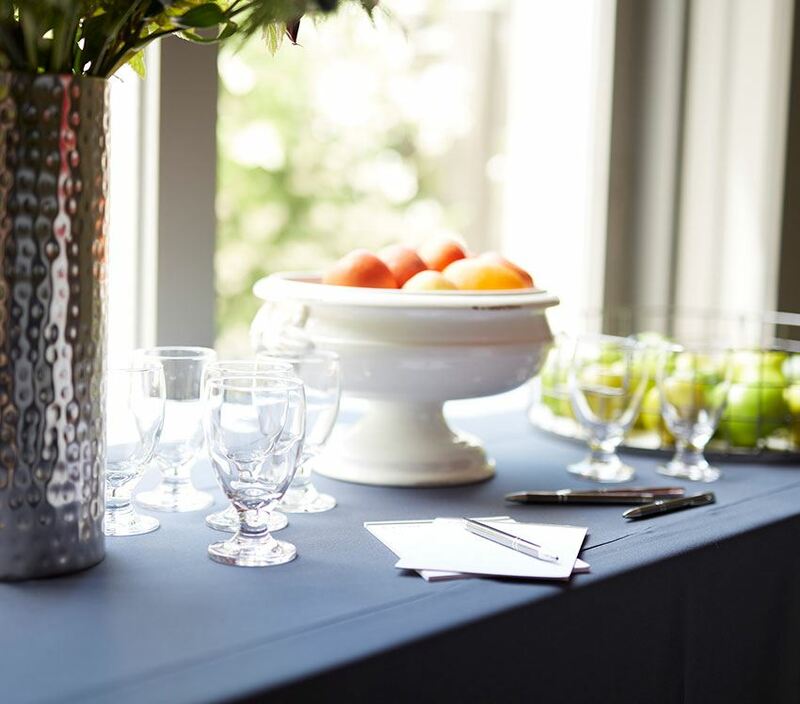 Our customizable meeting and events packages include catering menus to fit your needs. From sandwich and salad boxed lunches to a gourmet-style buffet or sit-down dinner, we can plan for whatever your needs. 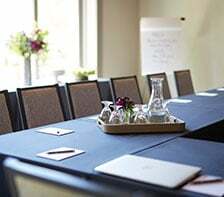 Meeting packages include coffee, tea, and snacks as well. With flexible space, catering, and an idyllic setting like no other, plan your upcoming business meeting or company retreat at SENZA Hotel and choose one of our curated Napa Valley meeting packages for successful events amid the vines.